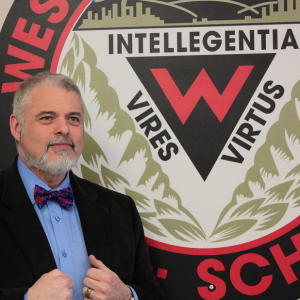 Principal at Western Canada High School, Calgary, Alberta. Former military officer. Degree from Université Laval, Master of Education Degree from University of Alberta. Social Studies and Political Science Teacher for 20 years. Assistant Principal for two years. Head Master for the last three years.